Theater, dance, music, and opera will have a stunning new showcase in New York’s historic Hudson Valley. 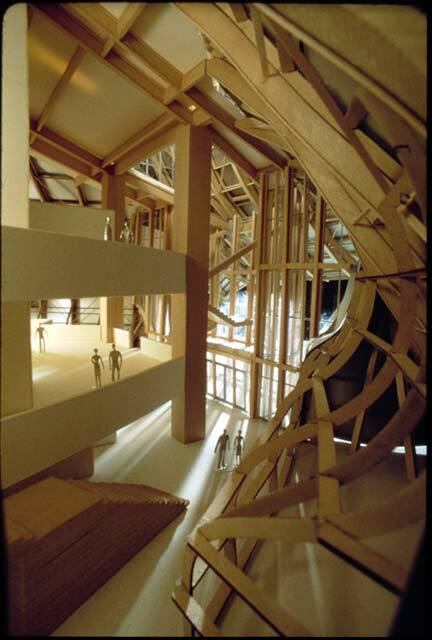 The Bard College Performing Arts Center, designed by Frank O. Gehry and scheduled to open in 2003, will undoubtedly become a regional landmark. The 109,000-square-foot building is taking shape on the 540-acre Bard College campus in Annandale-on-Hudson, New York. The Performing Arts Center will house a principal theater and a black box theater. Both will be adaptable for nonperformance events, such as college-wide lectures and assemblies. The principal theater will include a concert shell, an 85-by-40-foot stage, and a forestage lift. Flexible seating will allow audience numbers from 400 to 1,000, with a standard capacity of 800, in the orchestra and two balcony sections. The center’s black box theater will be devoted to the work of Bard’s academic programs in theater and dance, particularly student productions. 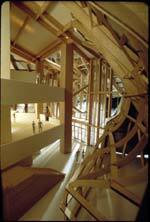 The 200 seats are retractable, so it can be reconfigured into a large, open performance space. Both theaters will be equipped with a full fly system for scenery. Glazed skylights and operable windows will allow natural light and ventilation into the four rehearsal rooms. There will also be classrooms, studios, green rooms, changing rooms, practice warm-up rooms, and offices; storage space for sets and acoustic and electronic instruments; a scene shop; and equipment for recording, documenting, storing, and transmitting audio and video materials. The center’s dramatic, undulating roof will be sheathed in stainless steel panels that reflect light and the hues of the surrounding natural setting while intimating the flow and movement of the art enacted within. 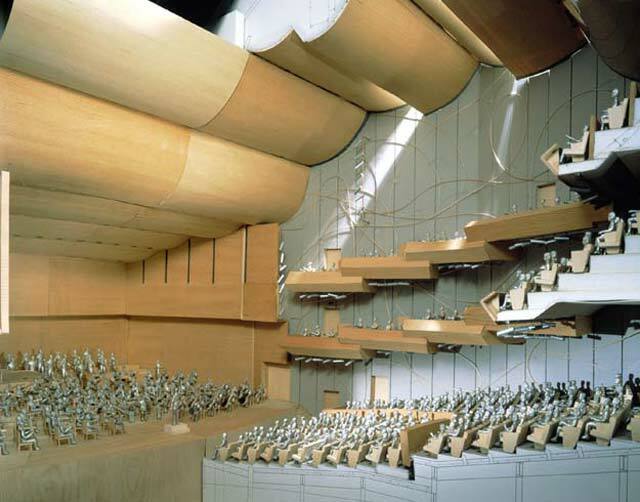 Concrete house walls will create superior acoustics; the ceilings of both theaters and the concert shell of the principal theater will be solid and perforated wood. The design includes a spacious lobby flanked by skylit gathering areas. "This is a great moment in Bard’s history and in that of the entire Hudson Valley region," says Bard College President Leon Botstein. "The completion of this historic building will give Bard the resources it needs to compete as a world-class educational institution with unrivaled theater, dance, and music facilities, and will present the Hudson Valley region with a new jewel in its crown as one of the nation’s leading cultural centers." JoAnne Akalaitis, director of the Theater Program, adds: "The presence of a building of such artistry, grace, and magnificence will inspire creativity." In addition to housing Bard’s academic programs in theater and dance, the Performing Arts Center will provide a permanent home for the acclaimed Bard Music Festival, enabling the festival, which was founded in 1990, to add full-scale productions of dance, theater, and opera to its performances. Other Bard-sponsored music organizations, including the American Russian Young Artists Orchestra, the Conductors Institute, and the American Symphony Chamber Orchestra, will be based at the new center. A spirit of innovation and experimentation will inform the programming plans of the center, which will collaborate with other organizations in presenting works by touring artists and developing original productions. 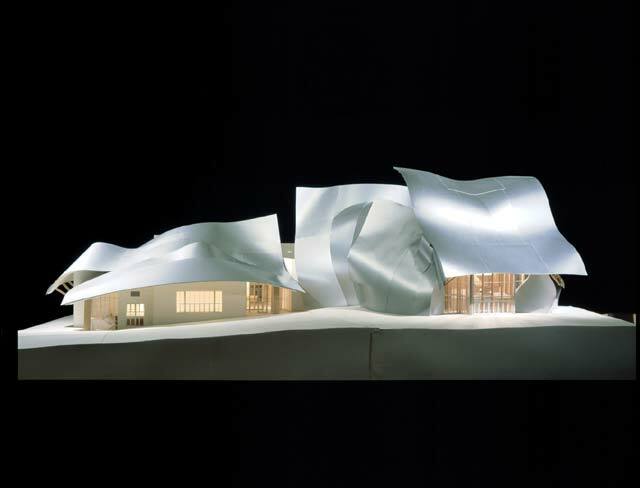 Canadian-born American architect Frank Gehry is known internationally for his distinctive structures that incorporate new forms and materials. 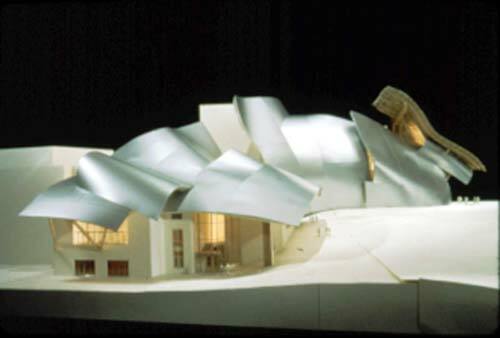 Since 1962, Frank O. Gehry & Associates, based in Santa Monica, California, has grown into a company with broad international experience in museum, theater, performance, institutional, commercial, and residential projects. Notable projects include: the Guggenheim Museum Bilbao; the American Center, Paris; University of Toledo Center for the Visual Arts; the Weisman Art Museum, Minneapolis; Experience Music Project, Seattle; and the forthcoming Walt Disney Concert Hall in Los Angeles. His work has received the most significant awards in the architectural field, including: the Arnold W. Brunner Memorial Prize in Architecture from the American Academy of the Arts and Letters (1977), the Praemium Imperiale Award by the Japan Art Association (1992), Dorothy and Lillian Gish Award, the first ever awarded, for lifetime contribution to the arts (1994), the Pritzker Architectural Prize (1989), the National Medal of the Arts (1998), the AIA Gold Medal (1999), the Gold Medal from the Royal Institute of British Architects (2000), and the lifetime Achievement Award from Americans for the Arts (2000). 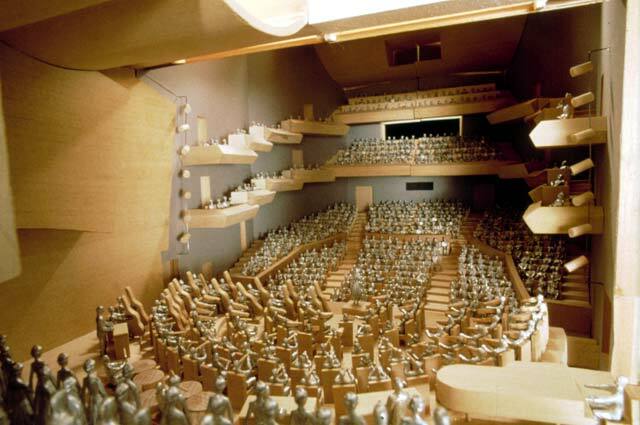 Model interior: Flexible seating in the main theater will allow audiences from 400 to 1,000.